Sand which mainly consist of the quarzt mineral. In addition to quartz, quartz sands which are exploited in deposits contain different accessory mineral contents such as feldspars, clay minerals, mica minerals as well as carbonate and carbonaceous components. Quartz sands used as basic molding material predominantly come from the Quarternary and the Tertiary. Due to weathering conditions of the starting rocks and sediment deposition they present different qualities. Quartz sand mining is performed by certain mechanical mining machines adapted to deposit conditions, such as bucket excavators. In addition, wet mining is also possible. Quartzsand conditioning in the mines extends to washing and purification processes followed by hydraulic classification, flotation, if necessary, and drying in rotary and fluidized bed aggregates. The suitability of quartz grains as molding material is mainly determined by the SiO2 content. The higher the content, i.e. the fewer additions of low-melting compounds, the more favorable the sand will behave towards high thermal loads. In general, reference values for the SiO2 content lie between 94 and > 99 percent. The admissible alkali content (K2O and Na2O) lie between 0.1 and 0.2 percent, limited by alkaline earths (CaO and MgO) of 0.1 to 0.4 percent. 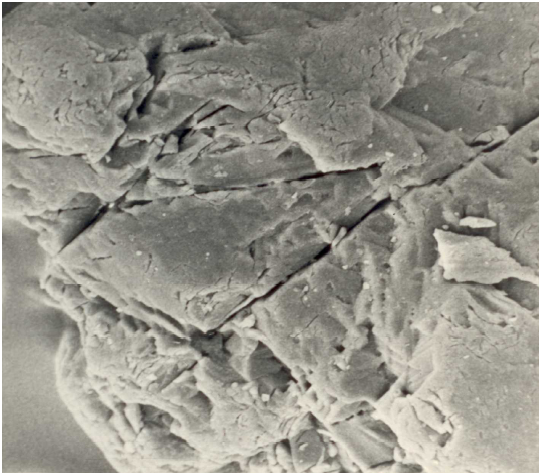 Higher contents have the effect - especially when these are attached to grain surfaces - of a sintering point reduction. The hardening process is also affected, especially in case of acid-hardening synthetic resin binders. In this context, a fines content limitation to 0.2 to 2.0 percent is determined. Impurities contained in the fines also have a neutralizing effect in the acid hardener and for this reason cause a higher hardener consumption. 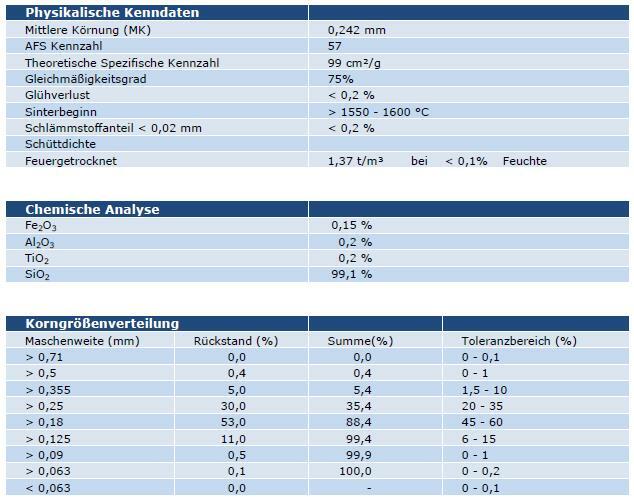 An example shows table 1 on silica sand GS 25 of the Strobel Quarzsand GmbH. 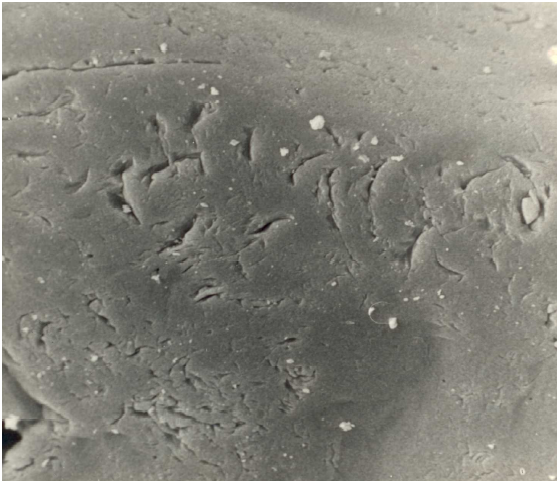 The grain surface (Fig. 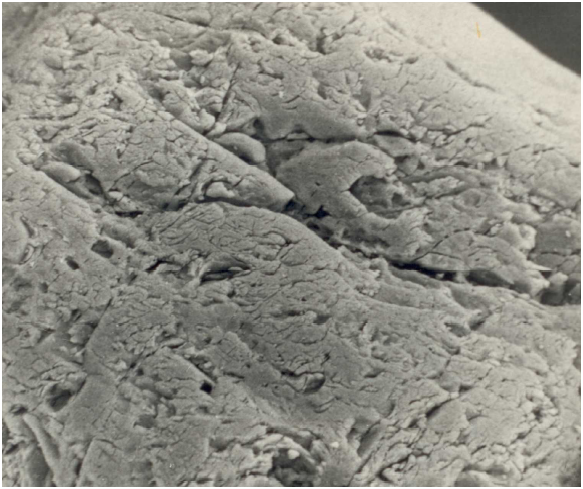 1 to 4) plays an important role in relation to the grain cleavability through thermal and machanical stress. In addition, this also has to be considered regarding a stronger tendency towards adsorption which results in a higher binder and water demand in the molding material. In addition to particle size reference values and the type and amount of fines contents, the surface structure also affects the adhesion between binder coating and grain surface. 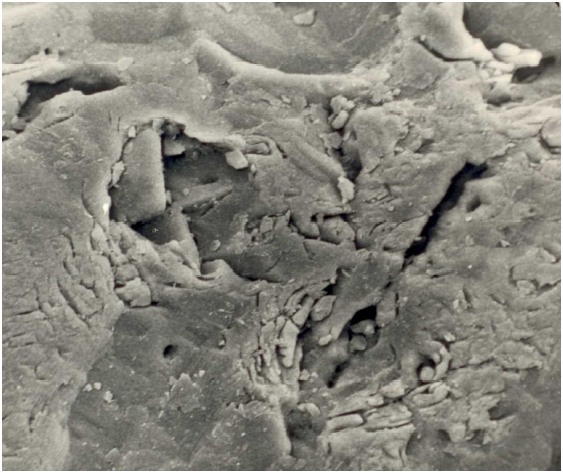 Scanning electron miscroscope examinations (REM) by determining the roughness (RAG value) offer additional evaluation possibilities in addition to the adsorption process. Quartz sands are an essential molding material base for sand casting, shell casting, investment casting, and for production of sand and masking cores. By adding the relevant binder during sand conditioning in the foundry, molding and coresand mixtures are created. These are called molding materials.